Mahindra & Mahindra on Friday reported 12.49 per cent increase in standalone net profit at Rs 12.15 billion in the third quarter ended December 2017. The company had posted a standalone net profit of Rs 10 billion in the same period of the last fiscal, Mahindra & Mahindra said in a statement. Revenue from operations was at Rs 115.77 billion. It stood at Rs 118.43 billion in the year-ago period. The two figures are not comparable as revenue from operations under pre-GST regime included excise duty, which is now subsumed in GST. During the quarter, the company said, it sold a total of 121,786 vehicles, up 8 per cent from the same period last fiscal. Passenger vehicles reported a growth of 6.1 per cent, it added. Tractor sales were also up 6 per cent at 76,943 units in the third quarter, it said. 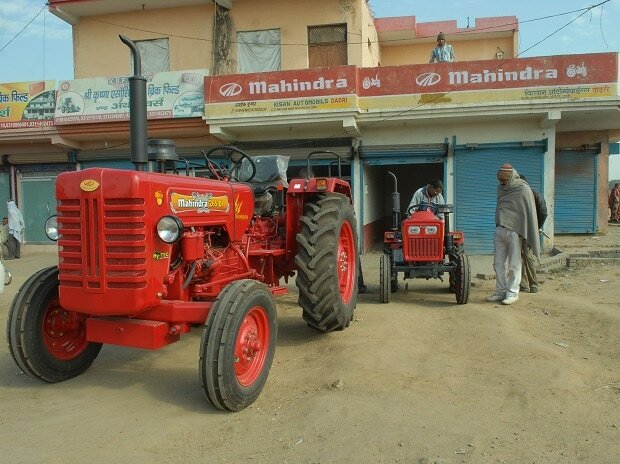 "In Q3 F2018, normal north-east monsoons and good reservoir levels helped in boosting the rural sentiment and demand for tractors," M&M said. The healthy reservoir levels, good progress on rabi sowing and increase in MSP's of rabi crops should help the growth momentum to continue in the coming months, it added. Commenting on the overall outlook, the company said, "With the effects of some of the recent transient factors fading away and the economy adjusting to GST implementation, growth momentum is likely to stay buoyant." A balanced and pro-agrarian budget should help prop farm incomes and stimulate rural consumption demand and further nurture the green shoots of economic recovery, it added.